One of my all-time favorite soups is corn soup.what can I say, I’m a big fan of corn. That’s why when I discovered the recipe for corn chowder it soon became my all-time preferred soup for the summer. I make this soup quite often and once in a while I’ll even serve it on bread. My family loves this soup so much I have to make enough for seconds. 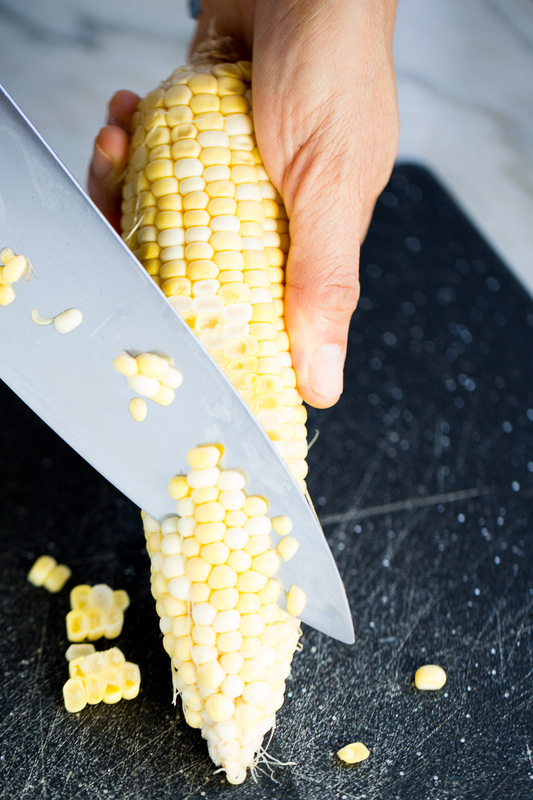 I know it’s a little weird to make soup during the summer when we are craving salads, but corn is in season and so fresh…we need to use it! You know how much I like to eat fruits and vegetables that are in season. It is very important for me to eat what the seasons offer and for my produce to be locally grown. In my neck of the woods, we have watermelon, corn, tomato, and peaches during the summer months that are local, and delicious. I should add you should try to buy organic produce whenever it is possible. I always buy organic tomatoes and peaches; you can check out this list of the 12 pesticide-heavy fruits and vegetables so that you can buy them organic instead. I am super excited because my girls are coming back tomorrow. I missed them so much! I swore up and down I wasn’t going to miss them and that I would be making good use of my time finishing up several projects I have going on…but at the end of the day I did miss them, and my projects didn’t move along as much as I wanted them to. (I’ll let you know about them later because they are cool) I hope I get to finish them soon. This is more or less the traditional recipe but with an extra kick and extremely good for you. 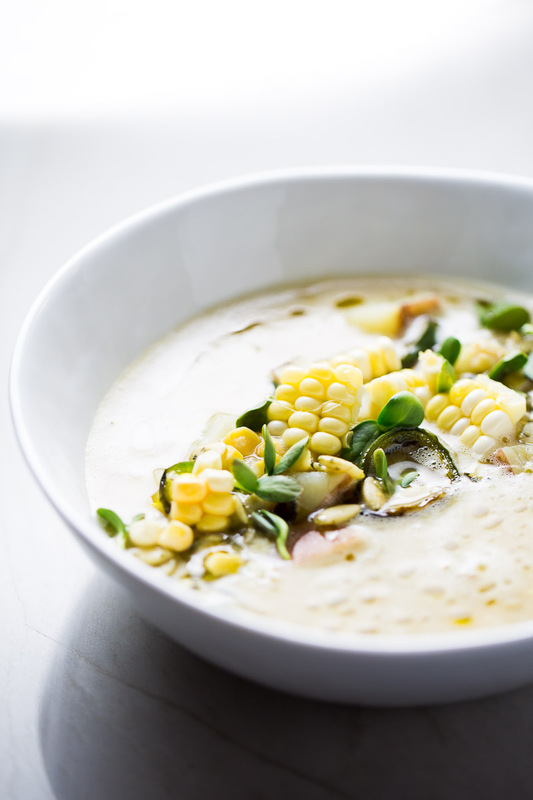 This chowder will be super satisfying on a beautiful summer day, and it will make you feel excellent…and, of course, it has a little Mexican twist as well. WHAT???? I know I turn everything into a salad or put in a super Mexican touch. Here is the recipe and I hope you like it as much as I do, and if so please share it ( on Instagram, Pinterest or FB )as well as my blog. 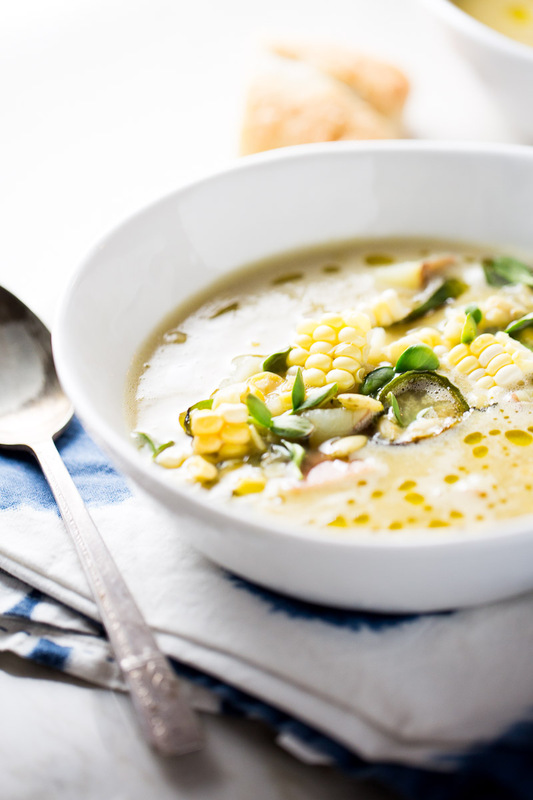 This recipe for corn chowder is vegan and has a Mexican twist. 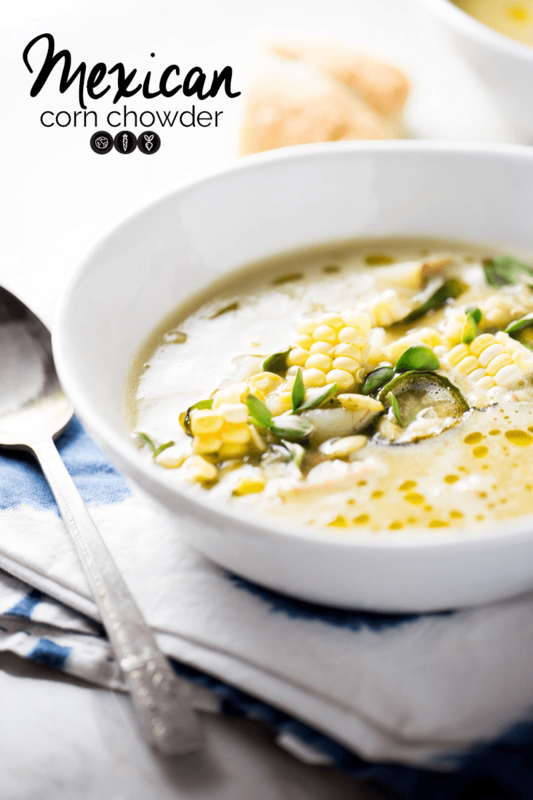 It is a vegan corn chowder with poblano chile, it is delicious and 100% healthy. In a large pot add the oil and the sliced poblano chile. Leave it there until it begins to soften. Add the onion and garlic. Leave for five more minutes or until you see that the onion is translucent. 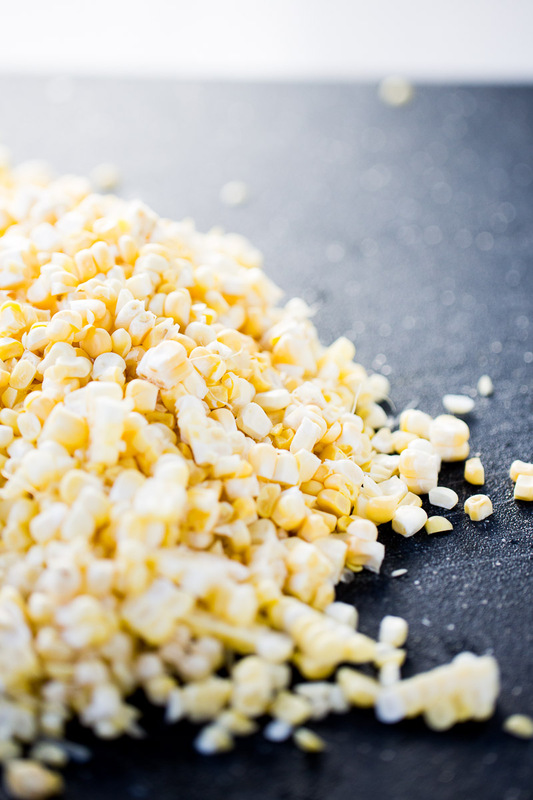 Add the corn kernels, potatoes, salt and cover with water, add the salt and cover. Leave for 10-15 minutes or until the vegetables are cooked. 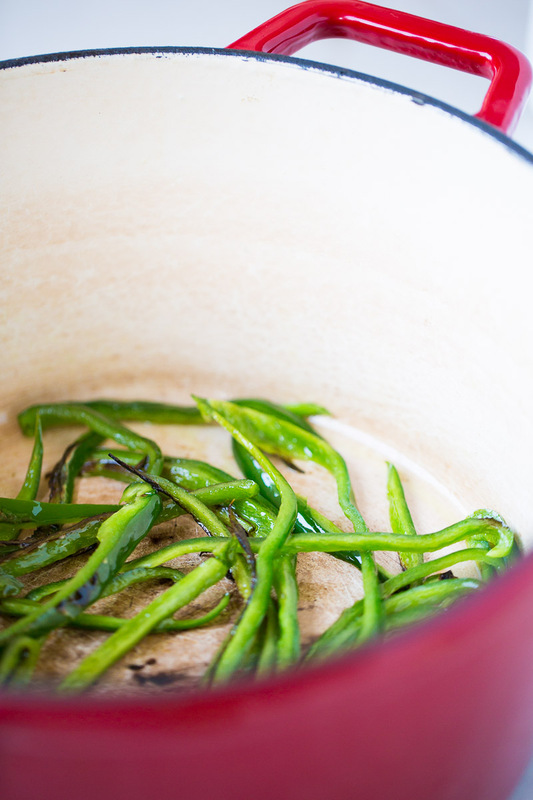 With a ladel, add about one-third of the vegetables and liquid into the container of a blender. Blend until fully liquefied and well integrated. Return to the pot with the rest of the vegetables. If you need more liquid, add a little more water. Check for seasoning and adjust if necessary. Serve with a drizzle of olive oil, pumpkin seeds, corn kernels, sprouts or chopped cilantro. Finish with sea salt and pepper. Can I move in with you this summer so we can cook and eat all the beautiful produce together?! !